Yes well I rate yours a 2 worms out of 7 kittens! Who needs Spike when you've got a pirate. 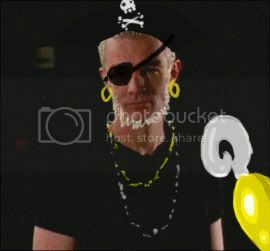 Pirates are greater than spike, it's mathematical fact. Here I'll prove it to you with this elaborate equation. And for relevancy, 2 spikes out of 1/2 a pirate. That's a very low score now missy. Burn it into your skull.